The future is finally upon us. 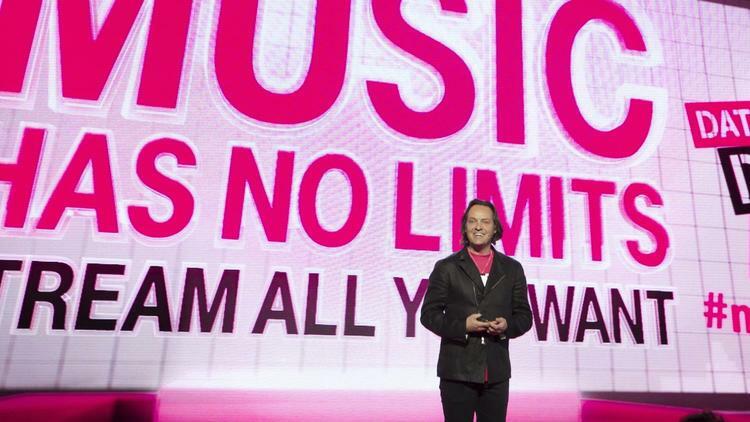 At a recent company event, T-Mobile announced that they will no longer be counting cellular data used on streaming music from Spotify, and other music streaming services such as Pandora, iTunes Radio, Rhapsody, Samsung Milk, iHeartRadio, or Slacker. This is a huge deal for both the carrier and the services; streaming music accounts for a large portion of data used by the modern-day music listener. Unfortunately, the situation isn’t perfect. This technically goes against that whole “net neutrality” thing we’ve been fighting so hard for by picking and choosing which services are eligible for the offer. One huge exclusion is Rdio, which happens to be my music-streaming service of choice, and by making Spotify so much sweeter, T-Mobile is indirectly hurting other, smaller services. However, a project like this only has room for improvement. I would love to be able to stream high-quality music from Rdio without having to worry about my data cap. Verizon, I’m looking at you.